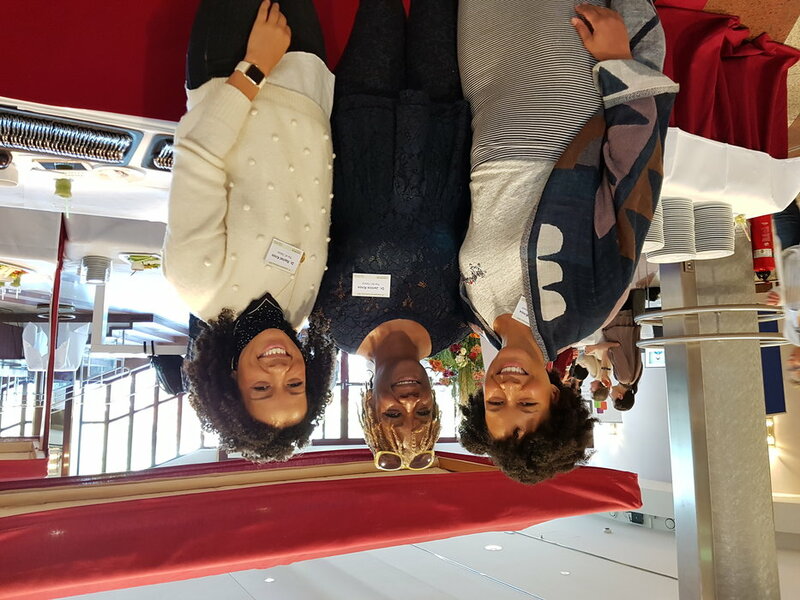 Last week, the 4th annual Emerald Conference brought attendees from around the world to San Diego for two days of education, networking and collaboration. 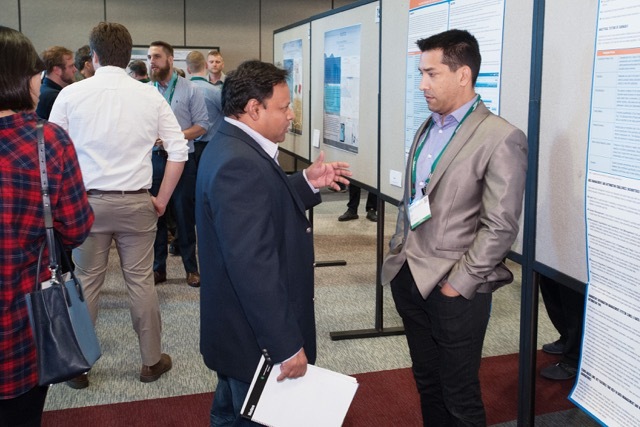 Leading experts from across the industry shared some of the latest research in sessions and posters with over 600 attendees. The foremost companies in cannabis testing, research and extraction brought their teams to exhibit and share cutting edge technology solutions. The diversity in research topics was immense. 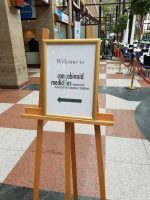 Speakers touched on all of the latest research trends, including tissue culture as a micropropagation technique, phenotype hunting, pharmaceutical product formulation, chromatography methods and manufacturing standards, to name a few. 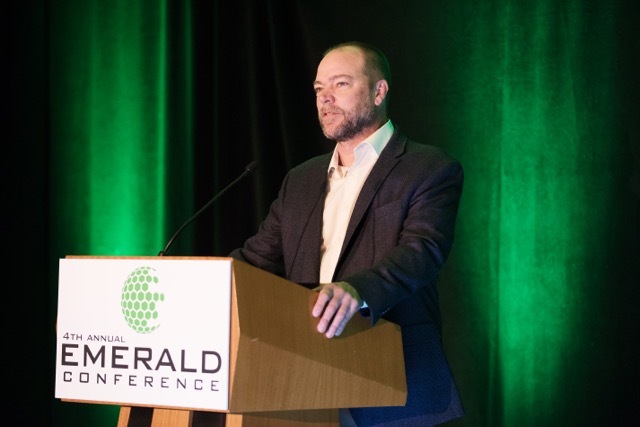 On the first day of the event, Ken Snoke, president of Emerald Scientific, gave his opening remarks, highlighting the importance of data-driven decisions in our industry, and how those decisions provide the framework and foundation for sound progress. “But data also fuels discovery,” says Snoke, discussing his remarks from the event. “I told a story of my own experience in San Diego almost 30 years ago while working in biotech, and how data analysis in a relatively mundane and routine screening program led to discovery. 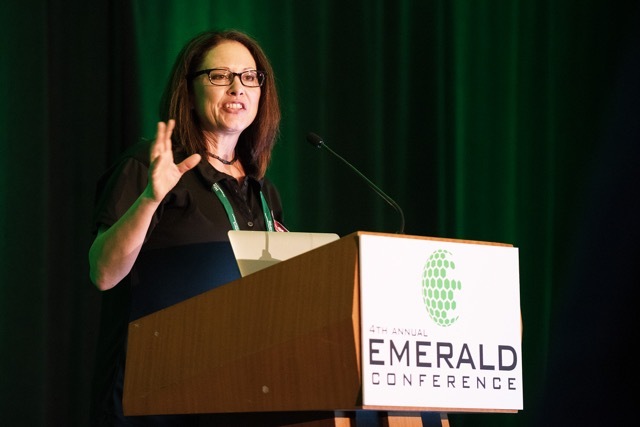 And how we (the folks at Emerald) believe that when we get our attendees together, that the networking and science/data that comes from this conference will not only support data-driven decisions for the foundation of the industry, but it will also lead to discovery. And that’s why we do this,” Snoke added. Dr. Hope Jones, chief scientific officer of C4 Laboratories, spoke about tissue culture as an effective micropropagation technique, providing attendees with a basic understanding of the science behind it, and giving some estimates for how it could effectively replace cloning and the use of mother plants. You could overhear attendees discussing her talk throughout the remainder of the show. Dr. Jones has worked with CIJ on a series of articles to help explain cannabis tissue culture, which you can find here. “In this example, we started with one vessel with 4 explants,” says Dr. Jones. “Which when subcultured 4-6 weeks later, we now have 4 vessels with 16 plants.” She says this is instrumental in understanding how tissue culture micropropagation can help growers scale without the need for a ton of space and maintenance. From a single explant, you can potentially generate 70,000 plants after 48 weeks, according to Dr. Jones. Those topics were just the first two of many presentations at Emerald Conference. You can take a look at some of the other presentation abstracts in the agenda here. 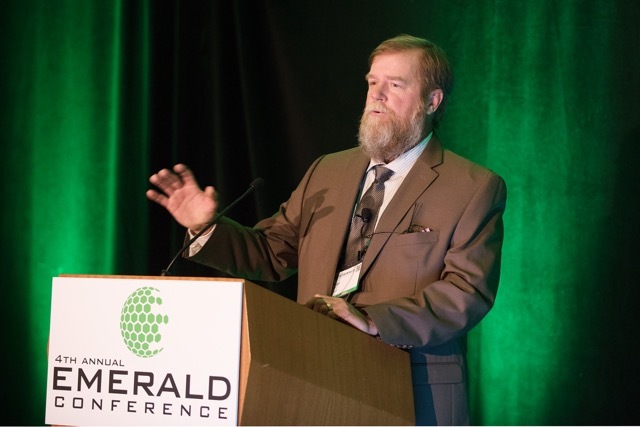 The 5th Annual Emerald Conference in 2019 will be held February 28th through March 1st in San Diego next year. After finishing up some experiments, they expect to get the genome map published on public domain in less than a year, opening up their research to the general public and allowing breeders and growers to use their data. “This will be a very significant publication,” says Schwartz. 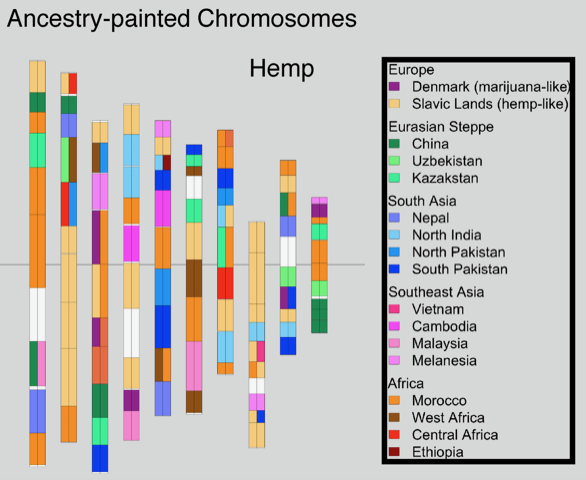 “The genome assembly allows for the assimilation of all the currently incompatible Cannabis genome sequence datasets from academia and private companies,” says Schwartz. 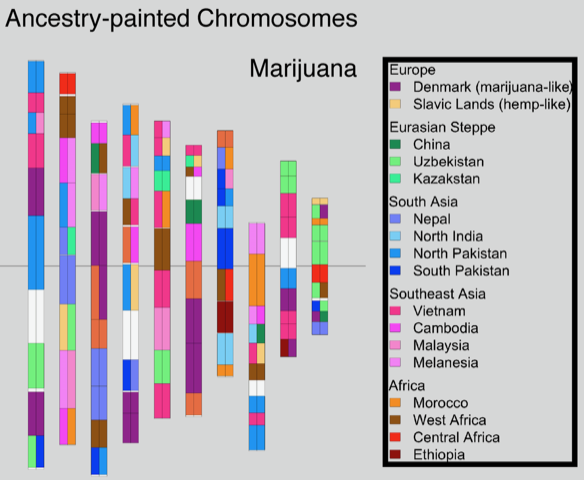 “Joining datasets from 1000s of strains, and from every continent, will generate an essential public resource for cannabis researchers and aficionados alike.” With a tool like this, we can discover the genes that help produce desirable traits. “This project is a major accomplishment for cannabis, bringing it on par with other important crops, providing a scientific tool to unravel the secrets of this incredibly versatile plant,” says Schwartz. It is that time of year where the holidays afford us an opportunity for rest, recuperation and introspection. Becoming a new father to a healthy baby girl and having the privilege to make a living as a scientist, fills me with an immeasurable sense of appreciation and indebtedness. I’ve also been extremely fortunate this year to spend significant time with world-renowned cannabis experts, such as Christian West, Adam Jacques and Elton Prince, whom have shared with me a tremendous wealth of their knowledge about cannabis cultivation and the development of unique cannabis genetics. Neither of these gentlemen have formal scientific training in plant genetics; however, through decades of experimentation, observation and implementation, they’ve very elegantly used alchemy and the principles of Mendelian genetics to push the boundaries of cannabis genetics, ultimately modulating the expression of specific cannabinoids and terpenes. Hearing of their successes (and failures) has triggered significant wonderment and curiosity with respect to what can be done beyond the genetic level to keep pushing the equilibrium in this new frontier of medicine. Lighting conditions can greatly impact the expression of terpenes (and cannabinoids) in cannabis.Of course genetics are the foundation for the production of premium cannabis. Without the proper genetic code, one cannot expect the cannabis plant to express the target constituents of interest. However, what happens when you have an elite genetic code, the holy grail of cannabis nucleotides if you will, and yet your plant does not produce the therapeutic compounds that you want and/or that are reflective of that elite genetic code? This ‘loss in translation’ can be explained by transcriptomics, and more specifically, epigenetics. In order for the genetic code (DNA) to be expressed as a gene product (RNA), it must be transcribed, a process that is modulated by epigenetic processes like DNA methylation and histone modification. In other words, the methylation of the genetic code can dictate whether or not a particular segment of DNA is transcribed into RNA, and ultimately expressed in the plant. 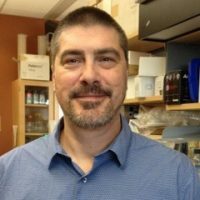 To put this into context, if the DNA code for the enzyme THCA synthase is epigenetically silenced, then no THCA synthase is produced, your cannabis cannot convert CBGA into THCA, and now you have hemp that is devoid of THC.So what is the best lighting technology to enhance the expression of terpenes? With all of that being said, how do we ensure that our plants thrive under favorable epigenetic conditions? The answer is the environment; and the expression of terpenes is an ideal indicator of favorable environmental conditions. While amazing anti-inflammatories, anti-oxidants and metabolic regulators for humans, terpenes are also extremely powerful anti-microbial agents that act as a robust a line of defense for the plant against bacteria and pests. So, if the threat of microbes can induce the expression of terpenes, then what about other environmental factors? I am of the opinion that the combination of increased exposure to bacteria and natural sunlight enhances the expression of terpenes in outdoor-grown cannabis compared to indoor-grown cannabis. This is strictly my opinion based off of my own qualitative observations, but the point being is that lighting conditions can greatly impact the expression of terpenes (and cannabinoids) in cannabis. 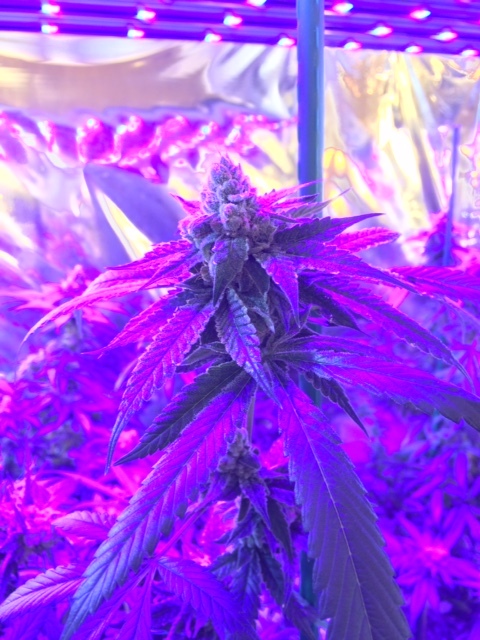 So what is the best lighting technology to enhance the expression of terpenes? Do I use full spectrum lighting or specific frequencies? The answer to these questions is that we don’t fully know at this point. Thanks to the McCree curve we have a fundamental understanding of the various frequencies within the visible light spectrum (400-700nm) that are beneficial to plants, also known as Photosynthetically Active Radiation (PAR). However, little-to-no research has been conducted to determine the impacts that the rest of the electromagnetic spectrum (also categorized as ‘light’) may have on plants. As such, we do not know with 100% certainty what frequencies should be applied, and at what times in the growth cycle, to completely optimize terpene concentrations. This is not to disparage the lighting professionals out there that have significant expertise in this field; however, I’m calling for the execution of peer-reviewed experiments that would transcend the boundaries of company white papers and anecdotal claims. 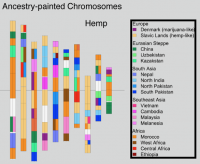 In my opinion, this lack of environmental data provides a real opportunity for the cannabis industry to initiate the required collaborations between cannabis geneticists, technology companies and environmental scientists. This is one field of research that I wish to pursue with tenacity and I also welcome other interested parties to join me in this data quest. 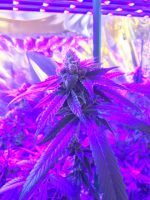 Together we can better understand the environmental factors, such as lighting, that are acting as the molecular light switches at the interface of genetics and transcriptomics in cannabis. Yesterday, Shimadzu announced the formation of a partnership with Cure Pharmaceutical Group and CK Sciences to research and develop pharmaceutical cannabis-based products, according to a press release. The three organizations entered a collaborative agreement with the goal of researching and developing products, then moving them through clinical trials using FDA guidelines. Shimadzu, a well-know analytical instrument manufacturer, has been making a name for itself in the scientific cannabis space with a number of exciting new ventures. They have worked extensively with cannabis laboratories throughout the country in refining methods and improving analytical chemistry in the space. 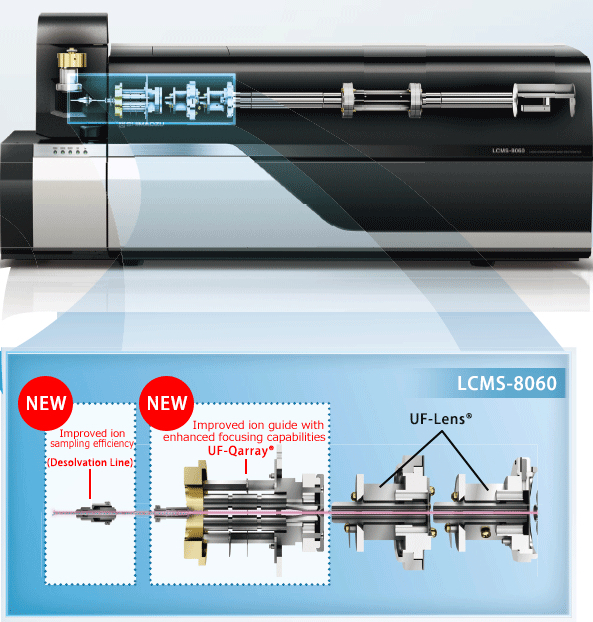 For example, Shimadzu powers EVIO Labs Florida with over $1.2 million in the latest testing instrumentation. 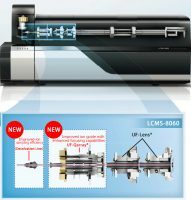 Back in March, Shimadzu launched their Cannabis Analyzer for Potency, a high-performance liquid chromatograph (HPLC) designed specifically for quantitative determination of cannabinoid content. The organizations in the partnership will be using that instrument, in addition to a headspace Gas Chromatograph Mass Spectrometer (GCMS) for terpene profiling. Both Cure and CK will use the instruments to generate data, with the goal to validate cannabis as a viable pharmaceutical treatment, according to the press release. As cannabis conference backdrops go, Cologne (or Köln as it looks to the locals) has some major plusses. Cologne is a German city that has all sorts of both historical and cutting edge things to explore. Plus of course there is the timing. This part of the world just pre-Oktoberfest is a refreshing splash of multi-hued natural colors populated by people who wear lederhosen and dirndls in public (and with great enthusiasm). Beyond its postcard settings, Cologne is a German center of medical research, as well as public policy making. The intricacies of pre and post war, not to mention post reunification politics, have made this whole region (which includes both Düsseldorf and Bonn) a major powerhouse in both deciding how things get done and then making sure they do. Including on all things scientific and medically focussed. 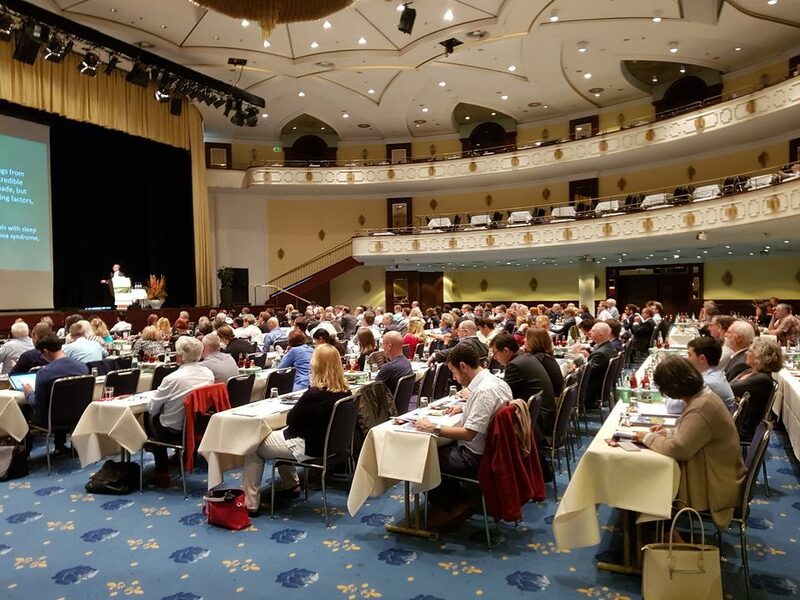 Where German geographical proximity intersects with the global cannabis research and medical community is the work of the people who have made the International Association for Cannabis Medicines (IACM) one of the leading international scientific and medical cannabis conferences in the world. One look at the speakers list confirms that the top people in the cannabis research world came, spoke and even discussed unpublished research. Yes, that is the mark of a real academic conference. But in a world where medical efficacy is still being challenged, it is worth saying. Even if you were not old enough to know about cannabis or well read, and had just showed up for the day, the subject matter and presentations were clear, easy to understand and stunning both individually and altogether. Topics and abstracts ranged from trial data to changing legislation. Peppered between those were visions of where cannabis as medicine is clearly going as well as a far greater understanding of the role of the endocannabinoid system. As a medical doctor, researcher, public policy expert or medical cannabis distributor, in other words, it is already a must-attend event. It is also packed with investors, not only from Europe but far from its shores. If there was a message beyond the fact that the cannabis industry is now jumping the shark and going global, it was that the industry has now arrived in Europe and there is no turning back. On any front. It is very hard to pick which was the most ground-breaking research. It all is at this point and it is all fascinating. One of the most heartening abstracts was submitted from Montana. It was just a single patient study. However it showed visual evidence of a stage 1A malignant melanoma completely resolving after 60 days of treatment both topically and orally. Research out of Tel Aviv (of course) was presented showing that low doses of THC might even reverse age-associated cognitive impairments. All of the genetic research into the plant not to mention new knowledge about terpenes was, literally, spell-binding to those who follow the science. Some of the presentations about ingestion technology in particular, were a clear indication of how much this world will be impacted by tech, where it is not already. It was stunning just to sit and listen to ground-breaking science that is being produced by globally-known scholars at internationally renowned universities, but still ignored in every place where medical cannabis is not only still illegal, but out of reach of patients. 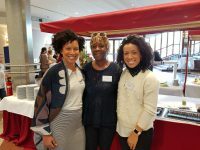 The current dire situation facing German medical users, of course, was frequently mentioned throughout the conference, and even from the presenting stage, as a human rights crisis. 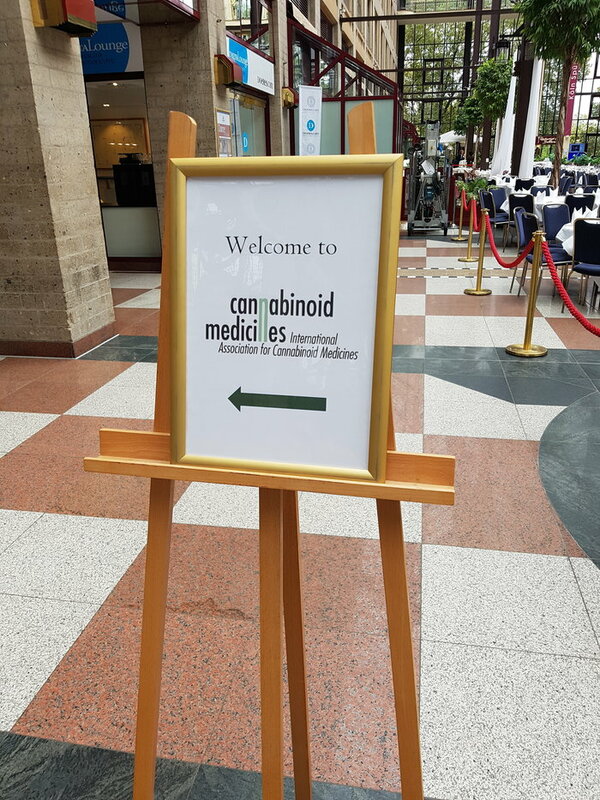 The conference was, by definition, not only an exchange of information and research, but also a gathering of the scientific cannabinoid community with a global reach. It was also clearly a gathering of academics and scientists on a mission. The dire need to educate both doctors and patients as the details and kinks get worked out on the ground is well recognized here. The IACM at least is also trying to do something about it. 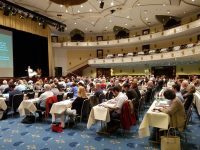 On Friday night, the first full day of the conference, IACM organizers invited conference participants to a side meeting they at first wanted to limit to 30. The idea was to discuss the launch of an ongoing “Ambassador” program as well as a pilot project to help doctors and researchers communicate with each other. More than 60 people showed up and stayed, even if it meant standing against the wall for several hours. The mood was helpful and light. Dr. Franjo Grotenherman, the best known and leading cannabis advocacy doctor in Germany, kicked off the gathering by serving food to guests before opening the floor to attendees to introduce themselves. The idea clearly here, is to spread the word, no matter how, as quickly as possible. The event has a different vibe from purely “industry” events. While the industry was clearly in attendance, in other words, it was clearly there in a supportive role. The star of the show was the unbelievable wealth of scientific knowledge that spilled from the stage. That is not to say that there was not a lot of business conducted here. On all levels. The networking is terrific. And this being the cannabis industry, most people are friendly, open and willing to give a polite stranger a few minutes of their time. This is an absolutely intriguing event to consider, particularly for Americans who do not have much insight into the European medical or scientific worlds when it comes to cannabis. That includes cannabis clinics in legalizing states to prescribing doctors looking for medical evidence of using CBD in treating their patients. Canadians, Israelis and Swiss were here in force, beyond the locals with representatives from most countries in Europe. If looking to network with an international crowd of doctors, scientists and companies on the cutting edge of cannabis globally, this is absolutely one of the best places on the planet to be. Currently, there are no lab testing regulations for Florida’s medical cannabis market. 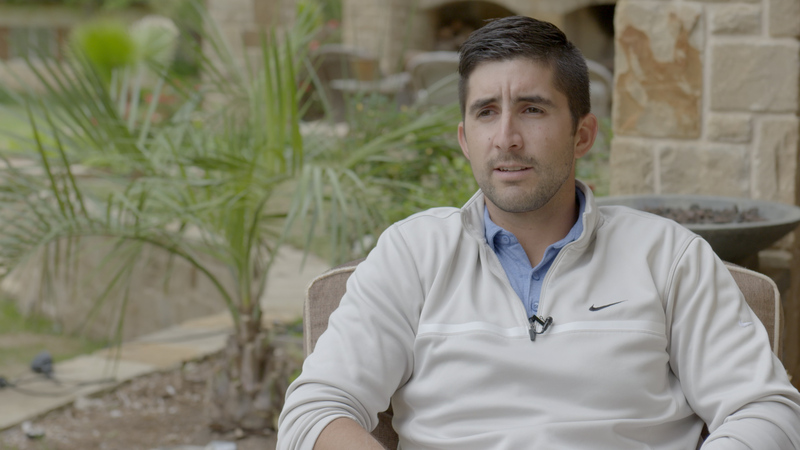 Chris Martinez, co-founder and chief operating officer of EVIO Labs Florida, a veteran-owned business, is looking to change that. 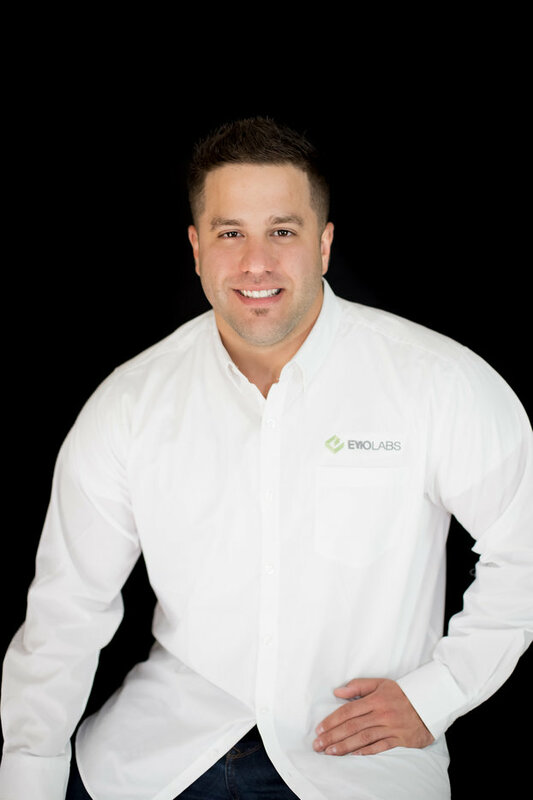 When Martinez co-founded EVIO Labs Florida, he saw the need for a dedicated cannabis lab to ensure safety and quality of medicine for patients in the state. Partnering with EVIO Labs to accomplish this goal, Martinez secured a 5,500 sq. ft. facility in Broward County to test for potency, pesticides, microbial contaminants, terpenes, residual solvents and heavy metals. Their lab, a first of its kind in the industry, qualifies as a true pharmaceutical-grade clean room. This week, Martinez also secured their 2nd laboratory location in the City of Gainsville, where they will test for potency, microbials, terpenes and residual solvents. And he isn’t doing it on the cheap. 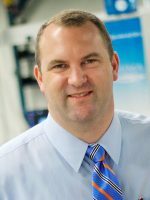 “Our Broward lab is powered by Shimadzu with over $1.2M in the latest testing equipment utilizing LCMS technology with the world’s fastest polarity switching time of 5 m/sec and scan speeds of 30,000 u/sec with UF Qarray sensitivity 90 times that of previously available technologies,” says Martinez. Martinez, an entrepreneur at heart, started the lab with a team of experts to become the first completely cannabis-focused laboratory in Florida. Jorge Segredo, their head chemist and quality assurance director, has over 18 years of experience in the development of nutraceutical and pharmaceutical products under ISO and FDA accreditation. Segredo has helped launch three independent FDA-accredited laboratories and has extensive knowledge of HPLC, GCMS, LCMS, ICPMS technologies and development/validation of testing methods and procedures. 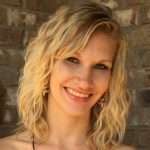 Cynthia Brewer, their director of operations, was an active participant in the 2017 state legislative session and has been an advocate for medical cannabis, working with legislators on a suitable framework to increase patient access to cannabis. EVIO is one of the nation’s leaders in cannabis testing, research science and advisory services. 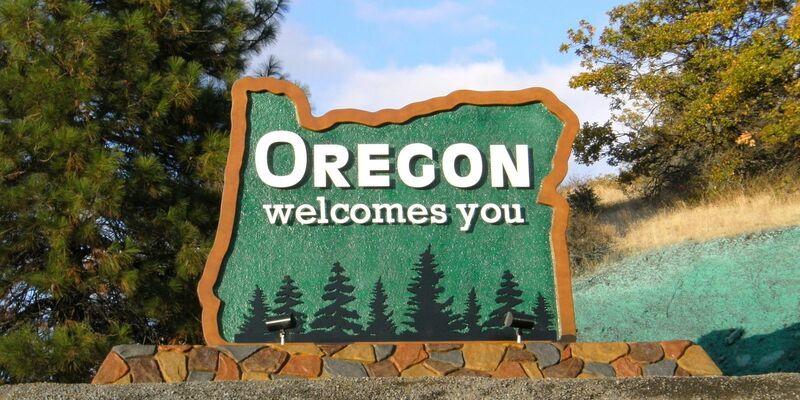 It is an evolving network of laboratories with nine EVIO cannabis laboratories operating in five different states: Oregon, Colorado, Massachusetts, Florida and California. “After speaking with industry chemists around the country for months, the EVIO name was constantly brought up in conversation,” says Martinez. “When we spoke with the EVIO Team it was an easy decision for us to partner.” He says Lori Glauser, chief operating officer of EVIO, and William Waldrop, chief executive officer of EVIO, are truly visionaries in the cannabis industry. 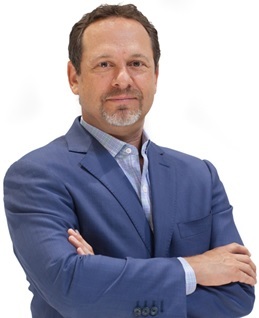 According to Martinez, their licensing agreement with EVIO Labs (OTC:SGBYD) marked a first for the publicly traded company with exclusivity in the Florida market. The agreement includes proprietary testing methodologies, operating procedures, training and support. In addition to testing cannabis for safety and quality, they are launching a technology platform called MJ Buddy, essentially a software tool that takes efficacy feedback from patients and uses testing and genetic data they gather from EVIO Labs across the country. 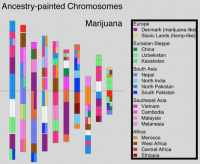 “This will provide real data to the cannabis industry as to the medical benefits for thousands of patients in relation to the genotype and cannabinoid profiles of their medicine,” says Martinez. Of the states that have legalized some form of cannabis, a large number of them have some lab testing regulations on the book, with some more comprehensive than others. Martinez says he hopes the Florida Department of Health, Office of Medical Marijuana Use follows some of the more thorough state programs, such as Oregon. His team has compiled a set of documents for regulators with recommendations for regulating the lab testing industry. Without any regulations on paper, it is up to businesses to produce safe and quality medicine, without any oversight. EVIO Labs Florida follows FDA Good Laboratory Practices, has an ISO 17025:2005 accreditation pending, and is working on TNI 2016 accreditation. When discussing what he wants to see happen with Florida’s regulatory framework, Martinez says the rules need to be specific to Florida. For example, due to the climate being so humid, microbial contaminant testing for things like yeast and mold will be particularly imperative. Because processing methods like butane and alcohol extraction are legal, he emphasizes the need for comprehensive residual solvents testing. “The most important regulation would be to have the laboratories select the samples at the MMTC facility and have the state randomly verify laboratory results to ensure accurate unbiased testing,” says Martinez. In addition to that, he hopes their pesticide thresholds will be realistic and based on actual science. “We believe the public should receive carcinogenic data for products that are inhaled,” says Martinez. “Chemicals may be introduced into the processing of cannabis to vape liquid that may cause harm. This is important information for public health and communication of the risk related to exposure to such materials.” Martinez says EVIO Labs Florida was founded on the belief that through technology and science we can increase safety and patient outcomes. 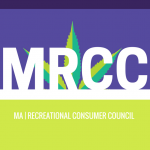 The Massachusetts Recreational Consumer Council (MRCC) is an interesting nonprofit that recently launched an educational campaign, called Consume Responsibly Massachusetts. For many cannabis advocates who watched their states legalize the drug, consumer education is a very important part of moving forward. As states across the East Coast implement regulatory frameworks for the cannabis industry, there is a sense of urgency to make sure the rules are right the first time, and that cannabis businesses become responsible stewards of their new market. For the MRCC, the issue of craft cannabis is a significant part of the organization’s philosophy, in addition to product safety and others. “Craft Cannabis will benefit the consumer in an entirely new way,” says Jefferson. “Members of the community will have a chance to provide products and directly affect the economy.” Because local owners tend to be more involved in their towns, Jefferson says residents will get to make more of an impact than nonlocal owners. And he’s right- small, local businesses contribute substantially more to local economies and communities than large companies. Between 1993 and 2013, small businesses created roughly 63% of all new jobs in the United States. With the new cannabis market comes a promising opportunity for local economies. “The Massachusetts cannabis industry is developing and growing fast,” says Jefferson. “Aside from the medical marijuana production sites, the new recreational marijuana law grants production participation in the regulated recreational marijuana industry to farmers, in the form of craft marijuana cultivator cooperative systems.” While he thinks this is a good opportunity for small businesses and communities alike to gain a foothold in the market, Jefferson is hesitant to endorse Massachusetts’ regulatory policies. 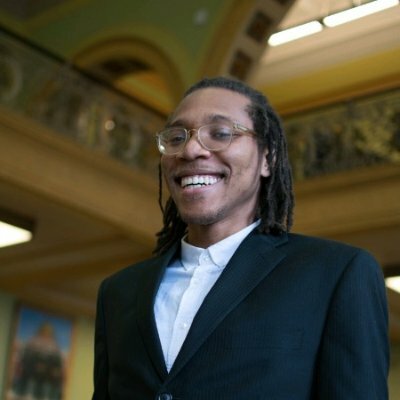 “A lack of regulatory oversight from the CCC [Cannabis Control Commission] places the cannabis industry in a vulnerable position,” says Jefferson. “If we want clear, consistent standards for clean and safe products prioritized, then we need consistent testing data.” Jefferson is arguing for more regulatory oversight for safety issues, such as contaminant testing. This is one of a handful of issues they are pressing for sensible cannabis policy in Massachusetts. Local Cannabis: Equitable licensing for small and medium sized local businesses from members of the community. Quality Control: Access to a variety of clean and safe cannabis products in retail dispensaries, tested for harmful contaminants, mold, pesticides and fungicides. Responsible + Safe Consumption: Access to educational materials about proper dosage, methods of ingestion, quality analysis, understanding product labels and general cannabis information. High Potency Flowers, Edibles, & Concentrates: Access, non-restriction to high potency marijuana products of all forms. Home Grow: Ability to grow at least 6 plants per person, 12 per household as stated in Question 4. Social Use: The ability to consume in designated establishments outside of the household. Expungement: Sentence commutation and record expungement for convictions involving non-violent marijuana charges that are now legal. Research: University supported biological, behavioral and cognitive marijuana research to further our understanding and capabilities of the cannabis plant. The last decade has been marked by great strides in the cannabis industry, as public awareness surrounding the health benefits of marijuana-infused products has spread and products have become increasingly well researched and scientifically advanced. Despite this significant progress, however, cannabis legislation and regulations continue to vary widely between states, ultimately contributing to a lack of clarity within the industry. 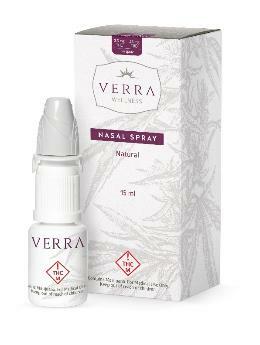 This issue was at the forefront of the DispensaryNext Conference and Expo agenda held in Denver a few weeks ago. During the expo’s Consumer Safety and Education discussion, a panel of industry leaders including Kevin Gallagher, director of compliance and government affairs at Craft Concentrates and executive director of the Cannabis Business Alliance (CBA); Eileen Konieczny, registered nurse and president of the American Cannabis Nurses Association; Kevin Staunton, director of business development at RM3 labs; and moderator David Kotler, a partner at Cohen Kotler P.A., highlighted a number of important issues for cannabis patients and adult-use consumers, as well as what’s next for physicians, testing labs and dispensaries across the industry. A number of common themes resonated in their discussion of opportunities and challenges, ultimately pointing to a need for increased research and data, and most notably, a growing demand for transparency industry-wide. Medical practitioners and dispensary technicians need qualified and legitimate information. Konieczny opened by stressing that the industry must stop calling dispensary sales associates “budtenders.” “I prefer the term ‘dispensary technician.’ These are knowledgeable people who are on the front lines, helping patients understand the products available to them. They deserve a title to reflect that our industry and their knowledge is much more than ‘bud,’” says Konieczny. These are knowledgeable people who are on the front lines, helping patients understand the products available to them. The most prominent information gaps in the industry lie at the level of dispensary technicians and medical practitioners. The ideal scenario for patients who are looking to use cannabis as medicine is that their medical practitioner is educated about the endocannabinoid system and that the products are available locally so that a treatment plan can be developed based on their needs. But the reality is that many patients enter their local dispensary without much knowledge or support at all, relying on the professionalism of the dispensary staff to help them navigate the dizzying array of products. New cannabis consumers may have a certain degree of misunderstanding of the products they are consuming and unfortunately, manufacturers do not offer a high level of transparency in disclosing ingredients, thereby preventing these customers from becoming better informed. While educating the public is essential, educating the industry is of equal importance.Furthermore, labels often contain small barely legible type, along with confusing and unnecessary content. According to Gallagher, the labels need to be simpler. “Products are overloaded with redundant, confusing language that most consumers don’t understand. This turns them off—especially if they’re inexperienced in this realm,” says Gallagher. When customers who are new to cannabis find products off-putting, it hurts not only the industry, but also their own health. Ill-informed consumers may have trouble understanding how cannabis can help them, and therefore they can miss the benefits it provides. While these issues are prevalent, there are many ways they can be resolved—with transparency at the core. Research is critical and paramount. For cultivators or manufacturers, research and data hold the key to attracting new consumers. By providing details about what is in a product and implementing certifications to show the product is contaminant-free, manufacturers are able to provide transparency and offer differentiation. With all of this in mind, it is perhaps most important to consider the way that this information is conveyed. Facts and research are useless if they are not accessible to consumers, who may not comprehend complex data. “We need to present information in plain language, keeping it clear and simple to understand,” expressed Konieczny. The simpler the delivery, the better it will be understood and knowledge is a very powerful tool for patients, consumers and the bottom line. While educating the public is essential, educating the industry is of equal importance. For instance, thoroughly training dispensary technicians to ask the correct questions and identify first-time users will ensure consumer safety while avoiding improper use. All panelists agreed transparency is paramount for the future of the cannabis industry and for growing a brand. Using lab data can provide value, setting a brand apart and building loyalty among consumers looking for someone they can trust.